I'm starting this new series over on my YouTube channel and here as well all about Autumn and Winter essentials. The first essential in this series is dark lips! I can never go past a gorgeous red or berry shade in the cooler weather because it contrasts so well with the dark layered outfits that I tend to reach for. So I have decided to share with you all my six favourite products for achieving the dark lips look, half drugstore and half high end so you have loads of options at different price ranges. 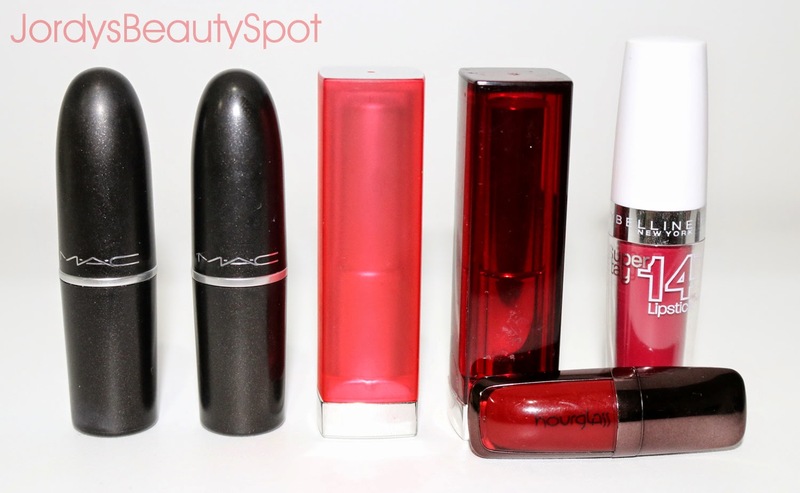 From left to right: MAC "Ruby Woo", MAC "Rebel", Maybelline "Mat5", Maybelline "Very Cherry", Maybelline "Enduring Ruby" and Hourglass "Iconic". This is a classic Hollywood glam red with a matte formulation. It is slightly drying but if worn with a balm underneath or gloss on top then it's not an issue. I highly recommend using a lip liner with this one. Maybelline "Mat5"This lipstick comes form the new Maybelline Matte range so is perfect to compare to MAC Ruby Woo. It's a slightly lighter red but has the same matte formulation only it isn't drying at all. I can even apply this one without a lip liner and it works perfectly too. I have recently posted a whole review on this one so you can check it out HERE. This colour is best described as a deep fuchsia berry with a purple undertone. I love the satin formulation of this lipstick because it makes is very moisturising and comfortable to wear. This is similar to MAC "Rebel" in the way that it's a deep dark burgundy with a slight hint of berry but it's purple undertone is a lot less noticeable. This shade is a lot less moisturising than Rebel but it is a lot more long lasting so it's a trade off depending on what aspect you consider most important. This is one of the liquid lipsticks that Hourglass is most popular for and they exceeded my expectations because this glossy lipstick lasts so incredibly long and the colour is absolutely gorgeous. This shade is a lot darker than the other Maybelline lipstick featured and similar to the Hourglass lip product, this leaves a lovely shiny gloss on the lips. We would love for you to get on board our Linden Leaves Online Ambassadors Programme. We have sent an email to you about a week ago and just waiting on your response. Please email me at shop@lindenleaves.com if you haven't received it. Thank you! 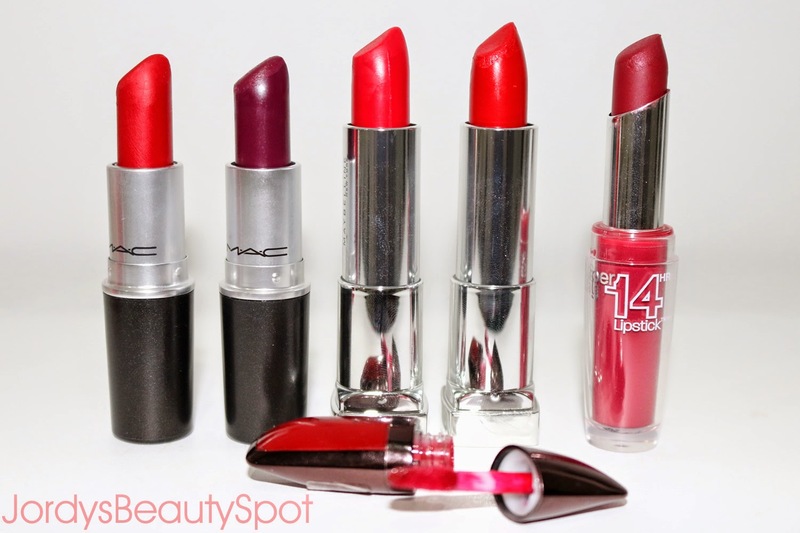 MAC Rebel is gorgeous, although I prefer MAC Russian Red over Ruby Woo. Oh and MAC Diva is another beautiful shade for autumn/winter, it's probably my favourite dark lipstick...if only it wasn't so drying..
Awww...so pretty. 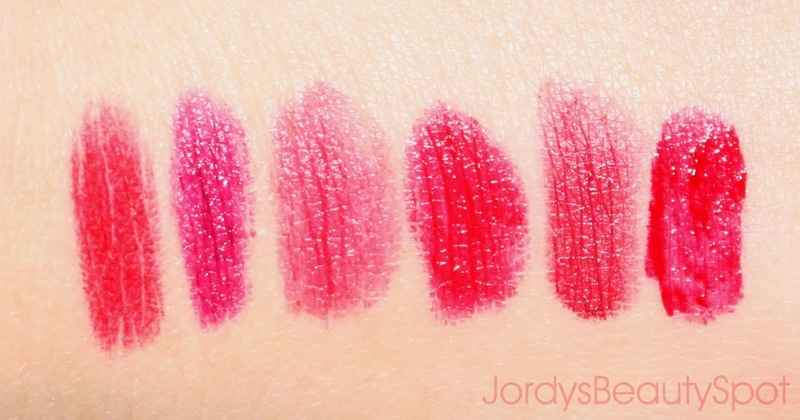 They are indeed very pretty lip colors. I love the Ruby Woo one.